The hell is this? If anything, the black baby should cost more given that, according to beige people all of them are massacred by abortion everyday. By the way, what kind of assholes would claim to care about black children and then refer to them as separate species? Oh that’s right, racists. 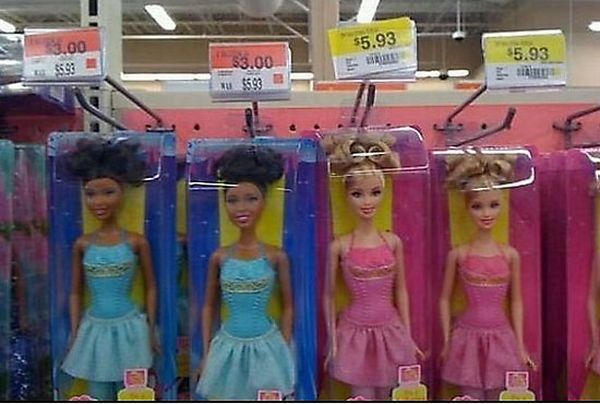 I don’t think Wal-Mart cares enough to be racist. They only care about the bottom line and I’m certain demand for the white dolls is higher than the black dolls. They’re just keeping it real.